Jess and the gang: Hide That Turkey! It must be a first grade tradition to "hide" a turkey. 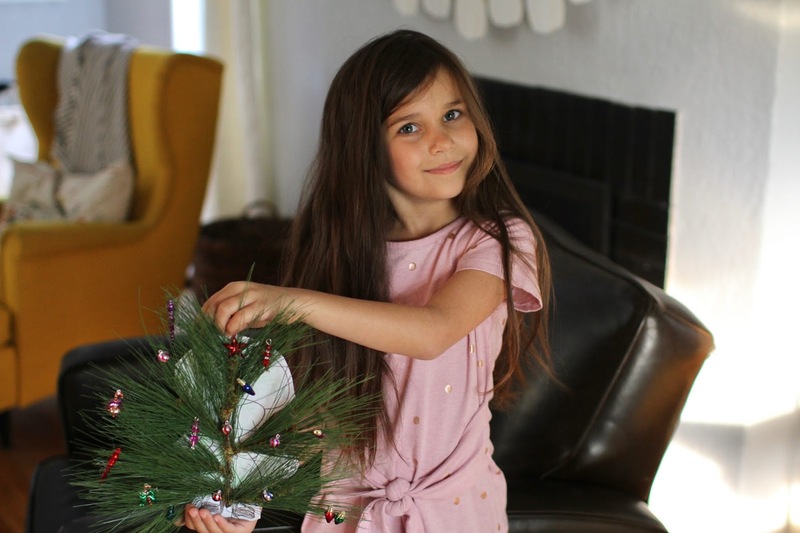 Connor did it in first grade and now Isla is doing it. 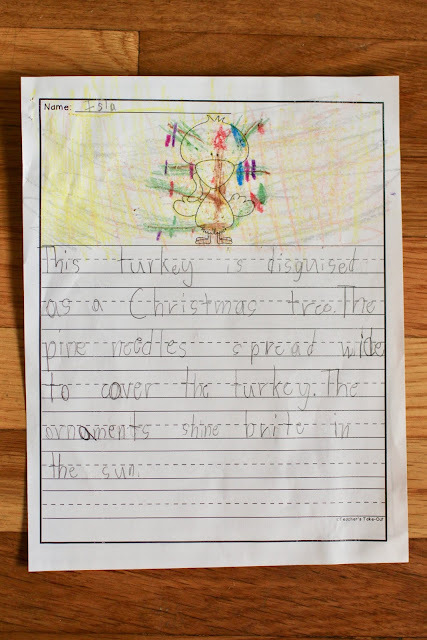 I tried finding photographic proof of Connor's hidden turkey and couldn't find pictures anywhere. Given I know I take loads of photos, I am guessing it is among the thousands and thousands of photos that I didn't sort though on my old laptop...hence the reason the laptop is sitting in a drawer a year later, still waiting for me to deal with all those photos. And by thousands of photos, I am talking like 40,000 photos. Such a daunting task and the reason the laptop is sitting in a drawer. But back to Isla and her hidden turkey. When she brought home this project, I came up with an idea that I personally found brilliant. I told her we could dress the turkey up like her. We could print out a picture and make a face mask out of her face to go on the turkey. Even Connor said, "How come you didn't have these good ideas when I was in first grade?" But Isla didn't like it. She had other plans. 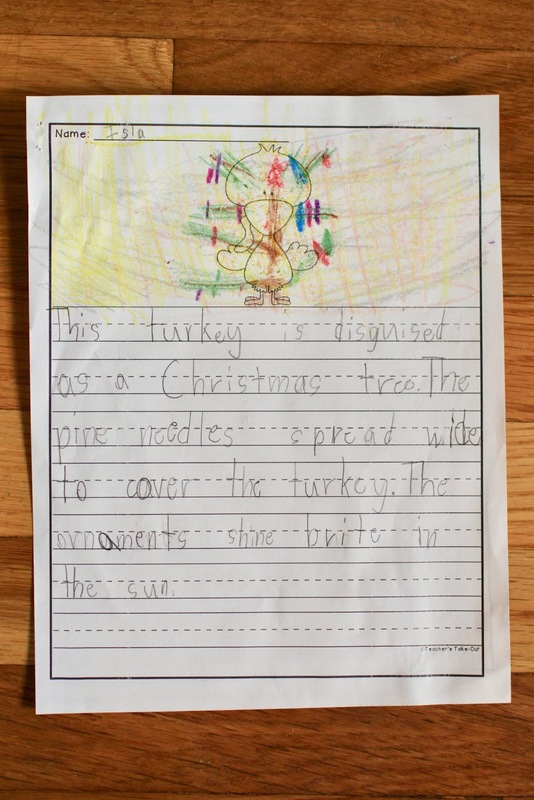 She wanted to disguise her turkey behind a Christmas tree. And since I'm not the one in school, I let her do what she wanted. I am convinced the kids think the best part of any school project is going to hobby lobby. It's the best part for them and usually the most stressful for me, haha! They have a vision and I am trying to help them realize their vision without spending a small fortune. Besides having to talk Isla out of buying 32 packages of small ornaments, the trip to the store was actually pretty drama free. So was disguising the turkey. I will actually file it down as one of our easier and least stressful school projects to date. And Isla was really proud of it, which is what really matters. Isla was so excited to take her turkey to school this morning. But, it wasn't just excitement about her turkey. She told me, "I am so excited to see everyone's turkeys mom. I just know they all will be great!" I like her enthusiasm and positivity. Now here's to hoping they don't do a class vote on the best hidden turkey this year. Because, well, that truly caused some drama in my life two years ago.